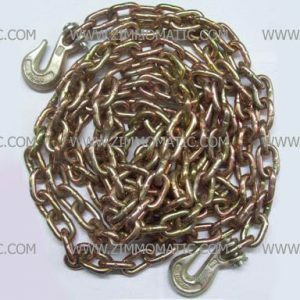 The Multiprens 4 inch x 30 foot standard duty winch strap is a necessity to any flat bedder; however, because stock seems to be endless, finding a competitive price is a hassle. Trust the professionals at Zimm-o-matic to provide you with good quality straps as well as a competitive price. 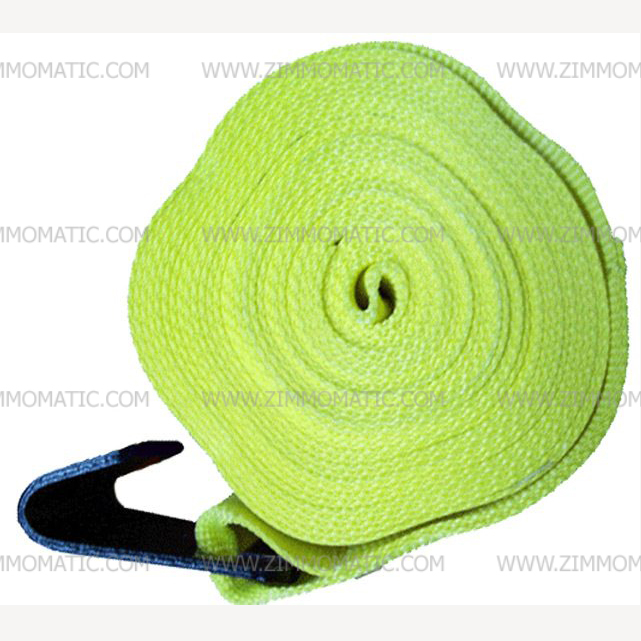 For any quantity of ten, you will receive a 10% discount on the 4 inch standard duty winch strap. The standard flat hook winch strap, 4 inch x 30 foot is an important part of a flat bedder’s job; after all, a trucker can only be as good as his winch straps. The rating for the standard strap allows up to 5,400 lbs. of working load limit. 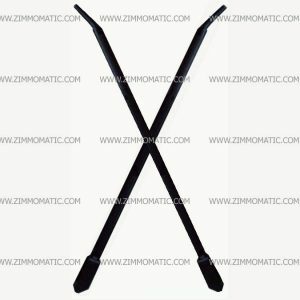 A typical flat hook sewn into the strap allows you to fasten into your rubrail or trailer underbody. Although the standard winch strap is great for the average trucker, if your job requires a more durable strap, we also sell the heavy duty 4 x 30 winch strap. 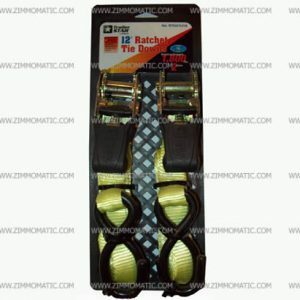 The heavy duty winch strap is rated for up to 5,400 lbs. of working load limit. The standard and heavy duty obviously receive the same overall rating but in the long run, the heavy duty can stand more stress for a longer period of time before wearing out. 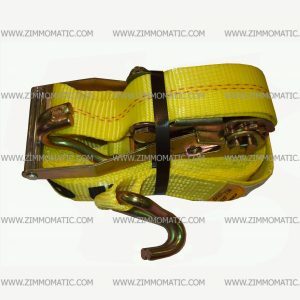 Click this link to find out more about the heavy duty winch strap, 4 inch x 30 foot, CPWSO43795.